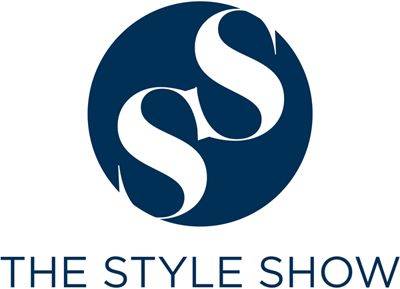 The Style Show: An example of an Elegant Filipina. An example of an Elegant Filipina. Being in the style blogging industry for a couple of years, I am honored to meet and greet Tingting Cojuangco. For those who are not familiar with her, she is the wife of Mr. Ping Conjuangco. She is one of the most iconic Fashionista in the Philippines and still achieve the same darling looks up until now. Until one day, I am blessed to meet her together with some of the bloggers in the Philippines. We talked about her way of creating a formal body that will honor Filipinas who are not just stylish but well-mannered, down to earth and hard working. 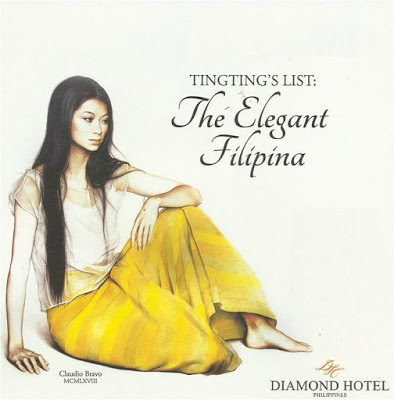 She created the 1st ever "Tingting's List: The Elegant Filipina" which will be held on September 22nd at Diamond Hotel Philippines. She will honor these 10 women who embodied the essence of a genuine Filipina. She said that every Filipina should not be the one who can dress beautifully. She must possess humility, intelligence, courage, being cultured and educated. Also, consistency on every girl's attitude is her point. Having these qualities are not just good if you are in public, it must be consistent even if you are all by yourself - she explained. As she aims to uplift Filipina women with her project, the proceed of this will be heading to Kabayan Weaving Arts and Crafts and Women Scholars in Tanauan, Leyte who are training to become a dressmaker under the Special Training for Employment Program (STEP). 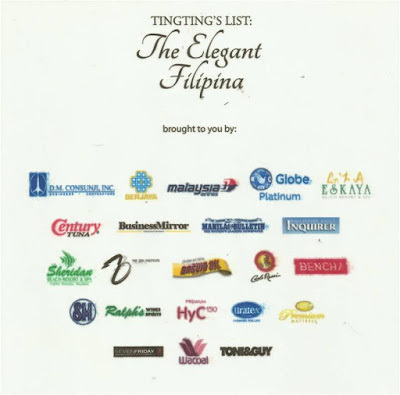 Tingting's List: The Elegant Filipina is made possible by Diamond Hotel, DMCI (Vic Consunji), Berjaya Philippines, Globe Telecom, Century Tuna, Baguio Oil, Ralph’s Wine and Spirits, Malaysia Airlines. Special thanks to Sheridan Hotels, Toni & Guy, Seven Fridays, Uratex Philippines, Eskaya, Florsheim, Wacoal, HyC 150, Carlo Rossi.